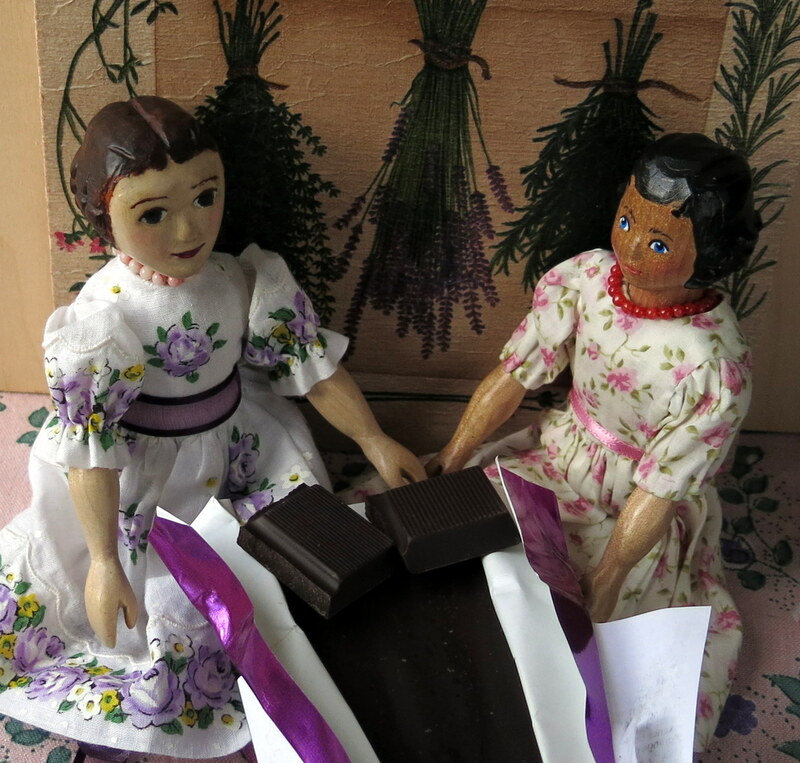 Constance was given an exotic bar of Chocolate. She and Rose are always interested in flavour experiments…. is looking lovely. The two of them certainly make a pretty picture . Makes me long to have a nice sit down with a good friend!!! 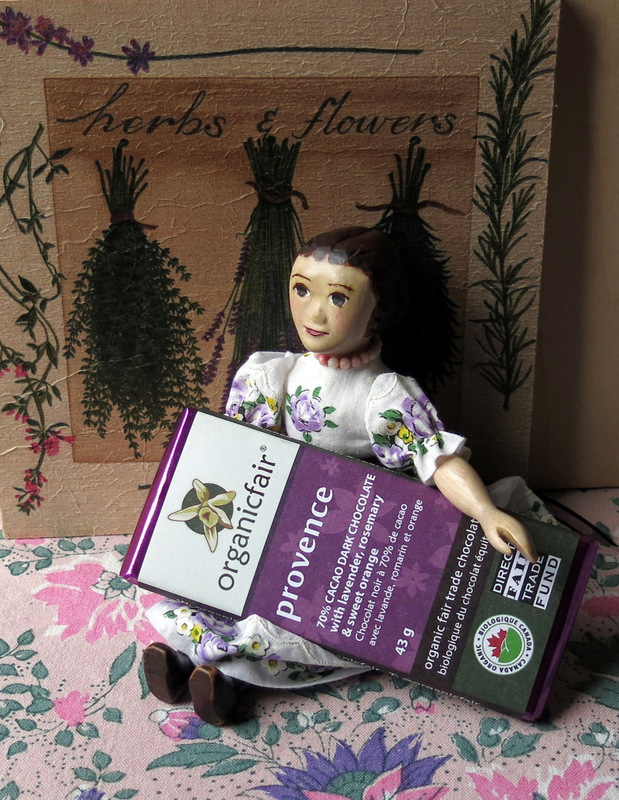 Constance was surprised that there was a lavender-flavoured chocolate! She is not at all afraid of tasting new kinds of chocolate! She wishes you could come and have a nice sit-down and chat with her, she is sure you would find lots to talk about! Truly! A surprising flavour, but nice!